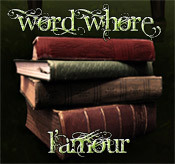 Word Whores, Live Chats & Giveaways! This entry was posted in blog and tagged chat, giveaways, word-whores. Bookmark the permalink. One Response to Word Whores, Live Chats & Giveaways!